The Privilege scheme is open to all employees of TrustFord and Ford Motor Company after one month's service. The scheme gives you the opportunity to save thousands of pounds on the price of a new car. Employees can also nominate relatives to benefit from the Ford Privilege Scheme. 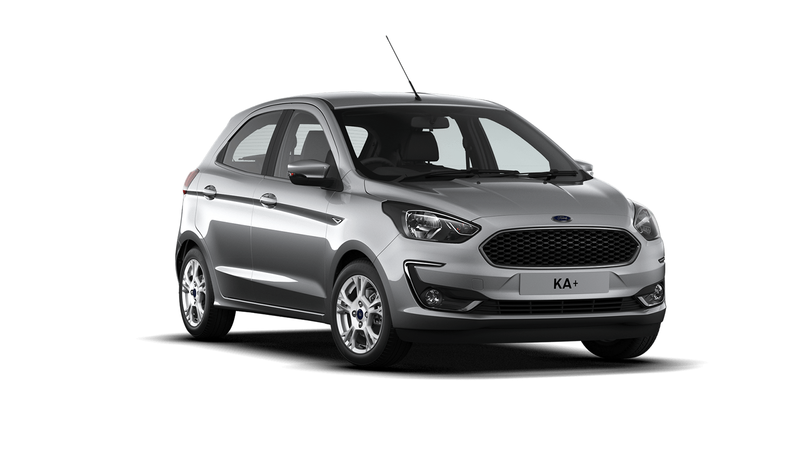 Spec Includes: 15" 5x2-spoke alloy wheels, Ford DAB radio with 6.5" Touchscreen, SYNC 3 and Emergency Assistance, Cruise Control, Leather wrapped steering wheel with remote audio controls. Spec Includes: 15" 4x2-spoke Alloy Wheels in grey finish, Rugged Bodystyling kit with Active front wing badges, Silver Roof Rails, All-weather floor and cargo mats, Privacy Glass. 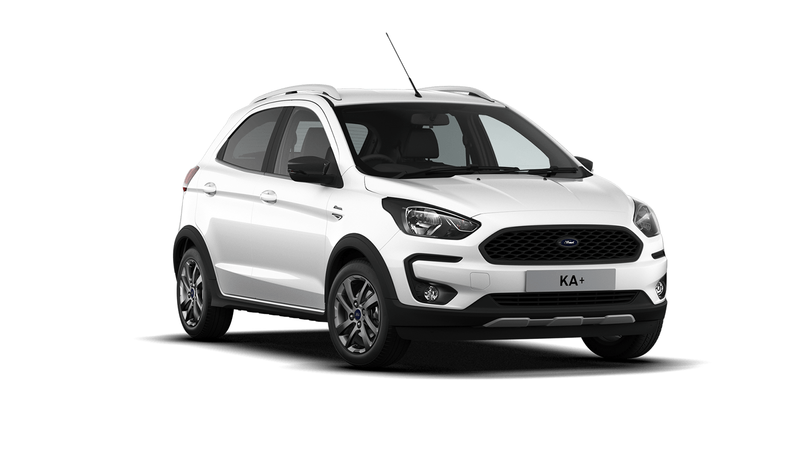 Spec Includes: 15" 8-spoke alloy wheels, halogen projector headlamps with LED daytime running lights, front fog lamps with cornering lights, chrome upper grille, Thatcham Alarm, Quickclear Heated Windscreen, Ford SYNC 3 Navigation with 8'' Touchscreen. Power-foldable door mirrors with puddle lights. Rear Privacy Glass. Ford SYNC 3 Nav w. FordPass Connect (Apple + Android Play). Electronic Automatic Temperature Control (EATC). Cruise Control. Rain sensing wipers & auto-dimming rear view mirror. Centre console with armrest & illuminated cupholders. Velour floor mats front & rear. Chrome lower window surround. Keyless Start. Spec Includes: 17" 5 Spoke Alloy Wheels in Shadow Black - Machined Finish, B&O PLAY Premium Audio System with 360° sound system specification with 10 speakers, Ford SYNC 3 with 8" Touchscreen, DAB Radio, Emergency Assistance, Apple CarPlay & Android Auto, 2 x USB sockets and 6 speakers. Spec Includes: Rock Metallic 17" 5 Spoke Alloy Wheels, Ford SYNC 3 Navigation with 8" Touchscreen, DAB Radio, Emergency Assistance, Apply CarPlay & Android Auto, 2 x USB sockets & 6 speakers, Sports pedals, Unique ST-Line Rear Bumper. Spec Includes: 17" 10-spoke alloy wheels. Front fog lamps with cornering lights. Unique Vignale front grille. Unique Vignale Bodystyle. Rear Bumper with unique Diffusor. Vignale front door threshold plates.Vignale rear & wing badges. Openable Panorama Roof. Black Ruby Leather. Comfort Pack. Rear View Camera Pack. Floor mats front & rear. Electric rear windows (5-door only). Spec Includes: ST-Line Rock Metallic 17" 5x2-spoke alloy wheel. LED front fog lamps with cornering function. Large body coloured rear spoiler. Polished twin tailpipe. Flat bottomed steering wheel with red stitching. Sync Navigation included. 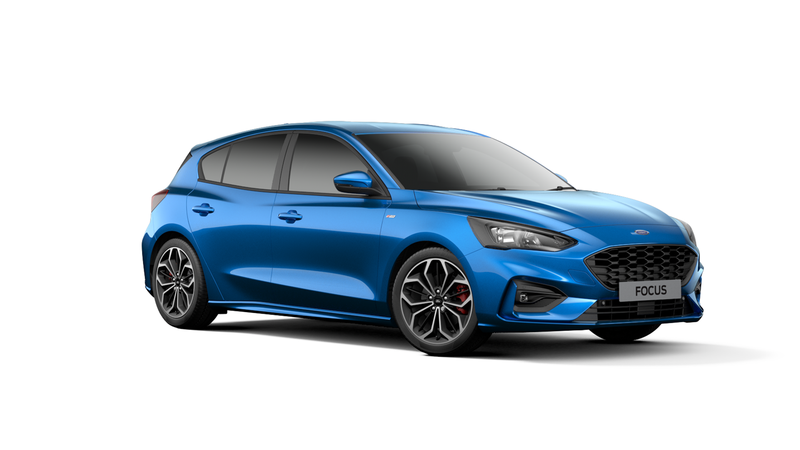 Spec Includes: ST-Line Matt Black 18" 5x2-spoke alloy wheel, Powerfold door mirrors with puddle lights, Rain sensing wipers, Dual Electronic Air Conditioning (DEATC), Parking Sensors - Front & Rear and Ford SYNC 3 Navigation System. Spec Includes: 17" 5 Spoke Dark Tarnish Alloy Wheels, Ford SYNC 3 Navigation with 8" touchscreen, Black Finish Roof Rails, ST-Line Side Bumpers and Skirts, Keyless Start, Folding Mirrors, Rear View Camera with Parking Sensors. Spec Includes: 17" 5x2 Alloy wheels, Rain-sensing front windscreen wipers, Appearance Pack, Keyless Opening, Automatic halogen headlights with LED day time running lights, Rear Parking Sensors. Spec Includes: 19" 5x2-spoke "Rock Metallic" alloy wheel. Spec Includes: 18" alloy wheels - (17" Alloy Wheel available at no cost). Automatic headlights with auto high/low beam. Rain sensing front windscreen wipers. Premium leather seats. Twin 4.2" TFT cluster display. 10-way driver & passenger power seats (drivers seat with memory). Variable heated front seats. Spec Includes: 18" 5x2-spoke dark machined alloy wheels, Full body styling kit, Enhanced Active Park Assist, Black roof rails, ST-Line seats, gear knob and steering wheel with red contrast stitching. 1.0 Ecoboost, 5 door, 100PS Petrol. Spec Includes: 15" Steel Wheels with full wheel covers, front fog lights, dual sliding rear side passenger doors, body colour front bumper and rear bumper end caps, body colour door mirror housings, door handles and bodyside mouldings, air conditioning, electric operated and heated door mirrors, quickclear heated windscreen, cruise control with adjustable speed limiter, electric operated front windows, my connection radio, Ford easy fuel capless refuelling system. Spec Includes: 18" machined alloy wheels, Radio/CD/DAB/SD Navigation System with 8" TFT touchscreen, Ford SYNC 3 with voice control, Bluetooth and USB connectivity, Apple CarPlay, Android Auto, Applink and Emergency Assistance. Spec Includes: Unique 19" Black, 7x2 spoke alloy wheels. LED headlamps with day running lights and LED fog lamps. Power folding door mirrors with Mustang logo projection puddle lamps. SYNC 3 colour touch screen with 9 speaker DAB radio, USB and Bluetooth connectivity, voice control and Ford Emergency Assist. Climate controlled seats, heated steering wheel and dual zone electronic automatic temperature control. Adaptive cruise control and selectable driving modes. Privilege Terms and Conditions: Vehicles must be contracted and registered by 30/04/19. Offers apply to stock cars only and subject to availability. 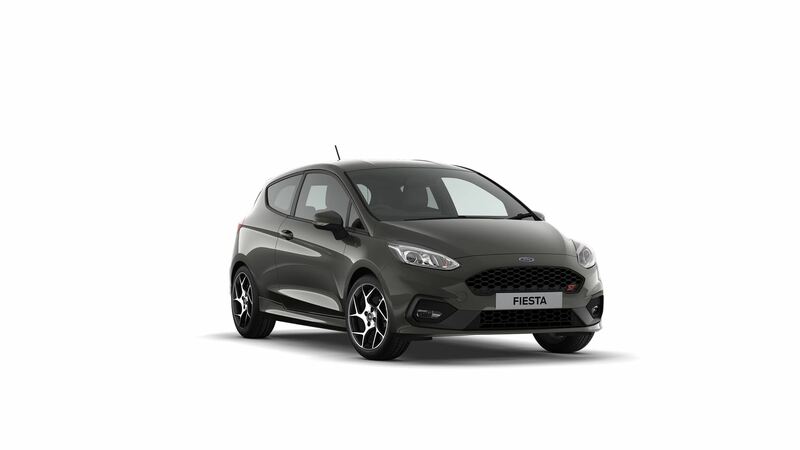 Fiesta Zetec, St-Line and Titanium and Focus St-Line offers are available on limited stock gate released before 1st March 2019. Fiesta Zetec and Fiesta ST-Line 2018.75 MY only. Focus ST-Line and Focus Titanium 2018.75/2019 MY Only, excludes 2019.25MY. Kuga Titanium 1.5tdci and 2.0 tdci 2018.75MY only. Finance provided by Ford Credit. TrustFord is a trading brand of Ford Retail Limited who are authorised and regulated by the Financial Conduct Authority for general insurance and consumer credit. Our FRN number is 312254. Ford Retail, 2 Charter Court, Newcomen Way, Colchester, Essex CO4 9YA. Registered in: United Kingdom 191596. Finance subject to status. Subject to availability. Indemnities may be required. Terms and conditions apply. Other eligibility criteria apply. Contact your local TrustFord dealer for full details. Limited Stock.